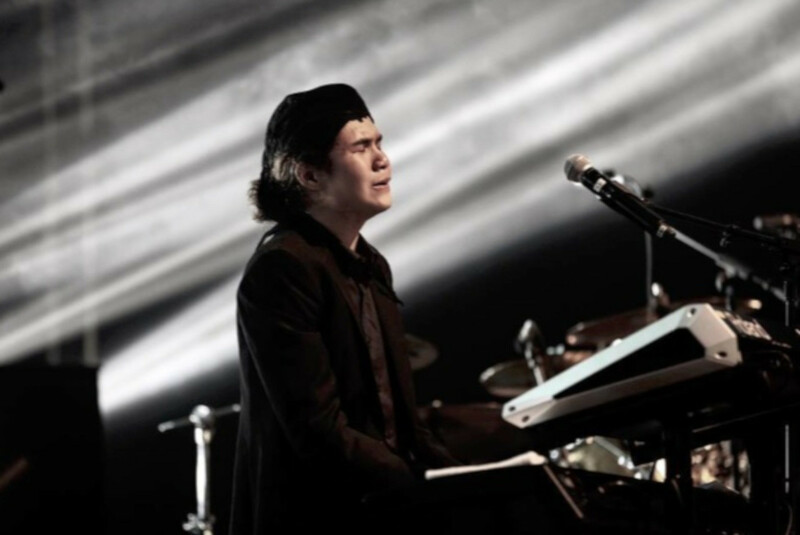 Abdul “Dul” Qodir Jaelani, the third son of musician Ahmad Dhani, shed tears as he filled in for his father at the Dewa19 featuring Ari Lasso & Once Mekel Reunion Live in Malaysia concert on Saturday at Malawati Stadium in Selangor. The concert was held after Dhani was sentenced to 18 months’ imprisonment for hate speech. In a video uploaded by the band’s manager Dian Rahmaniar, Dul shed tears when performing “Cintakan Membawamu Kembali” (Love Will Bring You Back) alongside former Dewa19 vocalist Ari Lasso. Despite his sadness, Dul tried to stay focused on his keyboards, while Ari stood by his side. Additionally, the 18-year-old Dul also cried when the band performed “Hadapi dengan Senyuman” (Face it with a Smile) with photos of Ahmad Dhani displayed in the background. At the same time, Dul’s oldest brother Ahmad Al Ghazali was also spotted crying in the audience. “We’re not performing in a full formation, but we’d like express our deepest gratitude to Baladewa and Baladewi [the names of their fanbase] in Malaysia,” said Ari and suddenly a video of Dhani was played in the background. “Pray for me to be strong. Hopefully we’ll be able to meet each other soon in Kuala Lumpur,” said Dhani in the video. Meanwhile, former Dewa19 vocalist Once Mekel also showed his support for his ex-bandmate when sharing the stage with Dul.